Telecom operators should be the driving force behind the maturity of the digital ecosystem, with capital investments and active involvement in shaping a favourable regulatory landscape, said a top official. 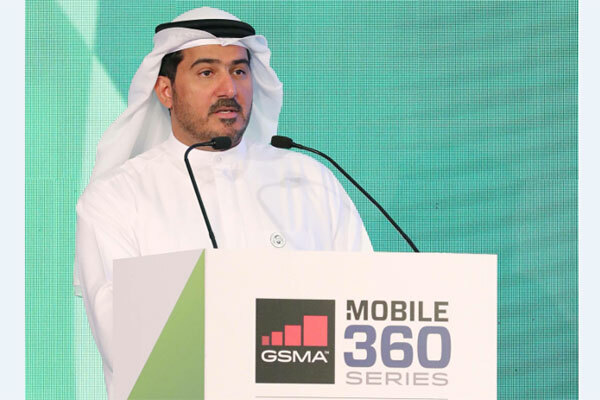 Operators must also power the transformation with relevant partnerships, broad foresight for potential use cases and the willingness to trial, pilot and launch new technologies added Khalifa Al Shamsi, chief corporate governance and strategy officer, Etisalat Group at the Mobile 360 series conference recently held in Dubai, UAE. The region is emerging rapidly on the global scene making a major impact on economic agendas aiming to position the region as a technology hub and a driving engine in the digital economy, he added. The conference focused on key trends in the telecom sector and increasing impact of the industry on the digital ecosystem and the evolution path of the ICT transformation journey. The keynote from Al Shamsi focused on Etisalat’s changing role as an operator which is vital today to increase global competitiveness, productivity and innovation in the country. In Etisalat, the company has led in digital transformation developing the telecom value chain and leveraging on core strengths and strategic assets to be able to generate returns out of this transformation. Hatem Dowidar, chief executive officer, Etisalat International, led the discussion in the opening CEO panel on ‘Regional Visions for Technology’s Transformative Power’. The panel highlighted how the region has showcased how ICT and telecommunications are core to businesses and individuals today with digital maturity taking a lead in implementing futuristic technologies and solutions. Today, the region has taken a global lead by taking the lead in 5G enabling operators to be at the forefront of innovation. These dynamics in the mobile ecosystem will lead to a significant contribution to the economy in the region. Other speakers from Etisalat were Kamran Ahsan, senior director, Security Solutions at Etisalat Digital; and Alberto Araque, vice president, Internet of Things and Digital Payment at Etisalat Digital. During discussions on ‘Mitigating the Cybersecurity Risk’, best approaches on how to achieve resilience and protect companies from the ever-growing threat posed by cyberattacks were highlighted. For the workshop on ‘IoT and 5G: Enabling the Digital Society’, the main topics were focused on how top IoT and 5G partners could collaborate and build the 5G ecosystem, achieve sustainable business target and enable the digital society.